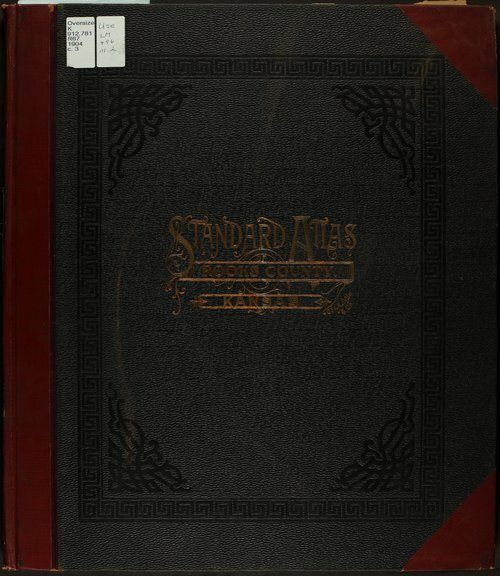 The atlas contains a plat book of the villages, cities, and townships of the county, and a map of the state, United States and World. It also has a Patron's Directory and a Business Directory. Also includes an index and portraits of early Rooks County residents.